A former Fox News contributor has accused Sean Hannity of sexual harassment after he invited her back to his hotel room and then never booked her for his show again after she declined. Schlussel added that people should ask about Sean Hannity’s former executive producer, and why she quit. The Fox News sexual harassment scandal isn’t limited to Roger Ailes and Bill O’Reilly. People need to keep asking questions because it is clear that there is an entire culture of sexual harassment and illegal treatment of women at the network. People need to take a closer look at Sean Hannity because the scandal at Fox News is showing no signs of slowing down. Debbie Schlussel, a former Fox News guest, appeared on a local radio show on Friday and recounted an incident where Sean Hannity purportedly asked her to a hotel, and when she rebuffed his advances, she claims, she was ostracized by the network star. The story has since gone viral garnering headlines like “Sean Hannity Accused of Sexually Harassing Fox News Guest” in publications like The Daily Beast and The Huffington Post. 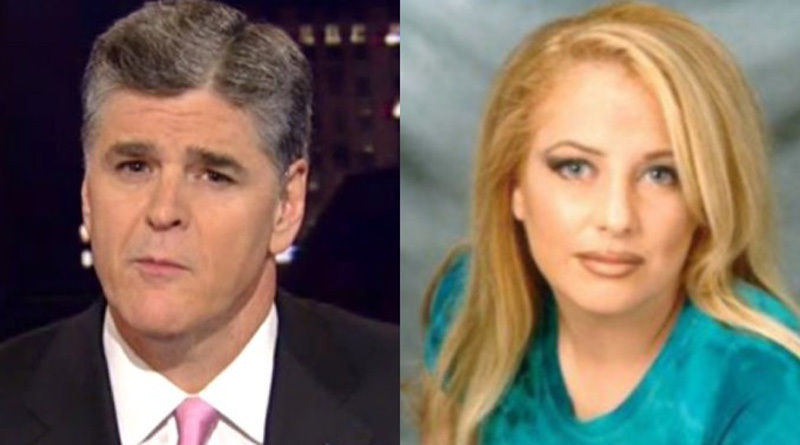 Now, in an interview with LawNewz.com on Monday morning, Schlussel is denying that she was ever sexually harassed by Sean Hannity. While Schlussel stands by her description of the incident, Schlussel told us that she doesn’t believe what happened between the two amounted to sexual harassment by any legal definition. “He tried to get me to go back to the hotel after the show after he and his executive producer Bill Shine treated me horribly,” she said on the radio program. Schlussel later clarified that it wasn’t his hotel room, but rather his hotel.